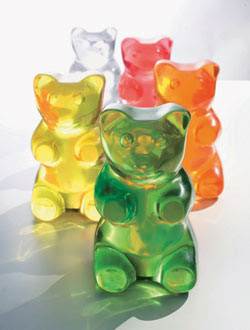 In my search for an accessible lapin lamp I came across these fun Gummilights. Couldn't resist posting them... so, ummm... yummy?! these are cute...but I worry I might try to eat them...especially in my present "condition"